Most people are often clueless about how to show support when close friends or family members loose a loved one. There are many ways which you can offer support and show that you truly care. 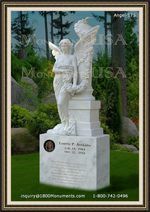 This is by offering helpful funeral gift ideas that will add value to the bereaved during this difficult time. 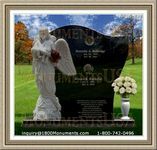 If you have any photos of the deceased, consider putting together an album and giving it to the family members. Often, family members will not have some photos of their loved one, and will appreciate the memories. You can go a step further and ask other people if they have photos, which you can add to your album. 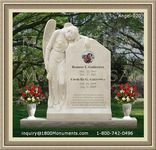 You can make a financial contribution to a charity organization that the bereaved was interested in. In some instances, family members can ask people to make donations to a specific organization, instead of buying flowers for the memorial service. An acknowledgement of your contribution will be sent to the bereaved family by the charitable institution. Foodstuffs are also a good option, as the bereaved may have plenty of people to feed during that time. It is better to take non-perishable foodstuff, in case the family has a surplus of perishable food brought by other guests. You can also take food a few weeks after the burial service. Offer to perform some household tasks for the bereaved family. This could include cleaning or babysitting for them. This is because they may not have the energy or morale to resume their normal household duties when they are still grieving. They may also be exhausted from hosting large groups of people during and after the burial. Consider spending time with the bereaved persons. You can visit them at home or invite them out for a meal or an activity. Explore different funeral gift ideas to give your loved ones. Apart from asking them to give you a call if they need anything, take a pro-active step and do something helpful for them.